Whilst shopping at John Little’s last evening ( I should say….poking around the Marina Square Mall) I chanced upon my favorite cartoon character Garfields! 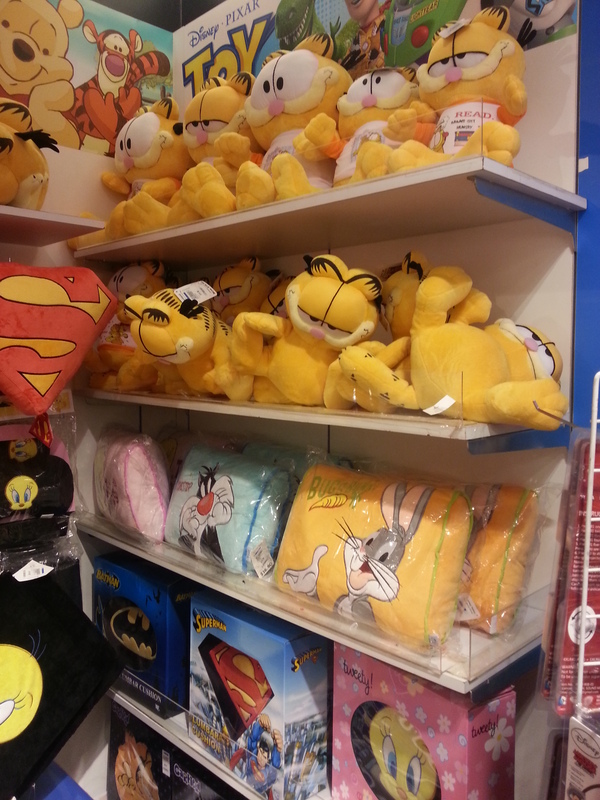 Nothing gets me all happy like a kid than when catching sight of Garfields…loads and loads of Garfields! Pity I have no more space at home for them. Yup 425 Garfields has taken up a lot of floor space in my home. They are literally everywhere, with my favorite sharing my bed keeping me snuggly safe. I reflect back on orphans or those living in poverty. They who have no food or little subsistence, much less toys! Toys are a luxury to these poor tots! 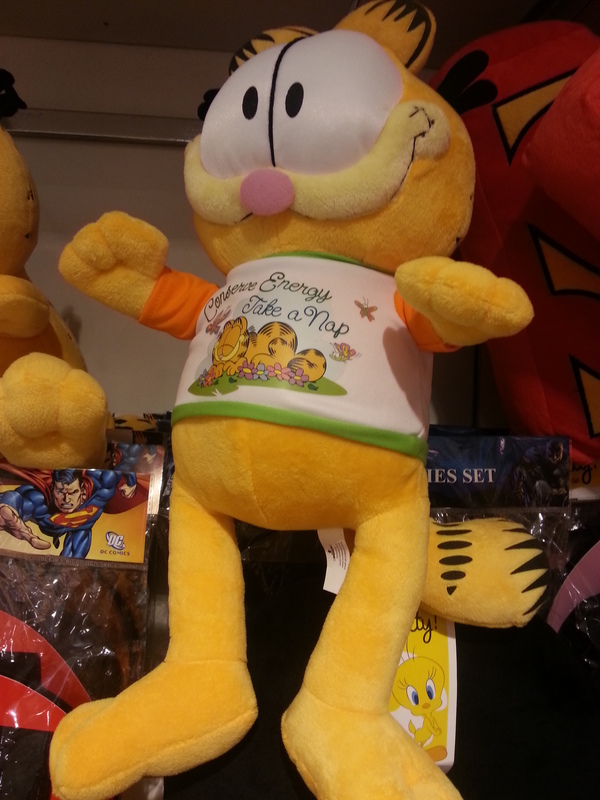 Garfield is blessed as he can bring much joy to a child or an adult. He is Jim Davis’ creation and will continue to surprise me either in comic strip or a great snuggly stuffed toy.